About 1500 sensors are recording every visitor to Dubai Downtown each day, the boss of Dubai developer Emaar has revealed. 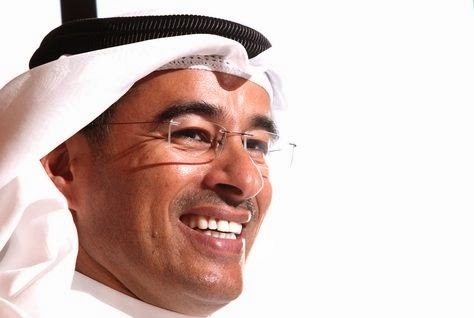 Mohamed Alabbar made the comment to back up his statement that 80 million people entered the site in 2014, a figure he conceded was "unbelievable". "We have 1500 sensors, so I can tell you exactly how many visitors we have every day," Alabbar told a group of Nigerian journalists visiting Dubai Downtown earlier this month, according to Nigerian websiteThis Day Live. "To do a site like this where [in 2014], we have 80 million visitors is unbelievable. I never knew I would see this in my lifetime." The record 80 million visitors is 5 million more than in 2013. Majority of visitors to the area go to The Dubai Mall, the busiest retail and leisure destination in the world. Alabbar said the mall accounted for at least 4 percent of Dubai's gross domestic product. Despite the enormous success of the development, Alabbar revealed he wished he had better designed Downtown Dubai's road network. "At the same time we made mistakes, because it is this vast [development]; this cost about $15 billion dollars," he was quoted as saying. "But we learned from the mistakes, some of them we've adjusted, some we couldn't adjust. [For example], we could have designed our roads in a better way." Alabbar said Emaar consulted the developers of other major international destinations when it was planning Downtown Dubai. He learned lessons from the Champs-Elysees in Paris including to prioritise parking in the design process and to ensure there were sufficient toilets. "So we have 55 toilets underground, and they're clean, we make sure they're clean," he said. "Of course they wanted security and technology and we put that in. But for us also as Middle Eastern, I can't put a mosque in this congested area. So in our car parks, we have five mosques for men, five mosques for women, with full facilities. "Are we going to make money from that parking? No we're not. But if we want to succeed, if we want to get a good environment in, we have to provide these services. But we make money from the real estate."